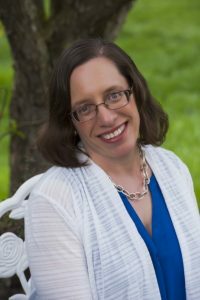 Seeing the need for a multi-level senior care program that addresses issues facing aging adults in Western Pennsylvania, Jami Pazuchanics established Optimal Aging Advisors LLC. Jami, and her team of Professionals, bring several decades worth of experience advocating and managing the care for seniors across the health care continuum. Jami Pazuchanics is a Registered Nurse, Care Manager Certified, and Owner of Optimal Aging Advisors LLC. 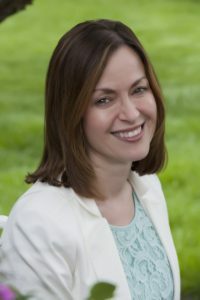 Having practiced in both Pennsylvania and Florida, As a Registered Nurse, Jami has more than 25 years of experience managing care and advocating for Seniors within the Acute Care Hospital System, Home Health Care and Long Term Care Management industries. In 2006, she established her first Care Management company (Silver Lining Care Management llc), which later served as the foundation for her current company, Optimal Aging Advisors LLC. This expansion was the direct result of a growing need among the aging population, families, and service professionals for guidance, planning, coaching, advocacy and assistance managing age related care needs in the most “optimal” way possible. Jami continues to expand her advocacy role for the aging population as a consultant to various companies that provide services to seniors. As a consultant, she is able to further advocate for quality care and ensure viable options are navigated on behalf of seniors. Throughout her career, Jami has held several leadership positions in Care Management. She is Nationally Certified as a Care Manager, and is an Advanced Professional Member of the Aging Life Care Association. She served as a former President of the Pittsburgh Chapter and as a former Board Member-at-Large for the Association’s Mid-Atlantic Chapter. Jami remains a member of various national organizations that support and promote healthcare, quality of life, and advocacy in Geriatrics and Nursing. In May 1995, Beth received her Master of Social Work Degree from Washington University in St. Louis with a concentration in health care. She has been a member of the National Association of Social Workers for 24 years. As a social worker, Beth has worked in a variety of health care settings including acute hospital, hospice, skilled nursing, and memory care. In 1999 Beth began working with seniors in long-term care settings when she managed a long-term care Memory Care Unit. While there she advocated for changes to improve the residents’ quality of life throughout the nursing facility. Her efforts resulted in residents being more engaged with their families, having improved nutrition and socialization, and taking fewer medications. Beth is passionate about using individualized approaches that promote and enhance quality of life for seniors wherever they reside. Since moving to Pittsburgh Beth has been actively involved in the community. She was a Girl Scout Troop co-leader, Odyssey of the Mind Coach and is an active member of Temple Emanuel. While coaching Odyssey of the Mind, Beth guided elementary and middle school students through the process of working together to develop creative solutions to problems. Beth currently serves as the Chair of the Worship Team at Temple Emanuel and is a member of the Board of Trustees. Lisa Powell has a Bachelor’s Degree in Music Therapy from Duquesne University and a certificate in Marketing from Robert Morris University. While working as a Music therapist, Lisa implemented a pilot project for Music Therapy at a local Pittsburgh Senior Care facility. This project used music to help residents with cognition, socialization, movement, anxiety, depression and self-esteem difficulties to have an improved quality of life and function. 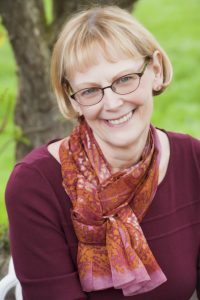 She has more than 30 years of experience in advocating for seniors and focusing on their quality of life at all levels of the Long Term Care continuum, including Skilled Nursing, Personal Care, Memory Care and Independent Living. Lisa’s expertise centers on understanding the challenges of senior care needs and the appropriate placement in a senior living community. Her passion is to help families and their loved ones make good decisions about the most beneficial care options available. Lisa currently volunteers weekly at an adult day care center using music therapy techniques to benefit the members of the Memory Support unit. In addition to her volunteer work, she plays as a professional pianist at several local senior living communities, in which she creates, and then plays, musical programs that meet the specific needs of the current residents. She is also an acting Board Member of Mt. Lebanon Village, and continues as a church organist.